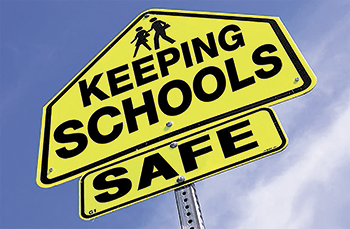 HELP US TO KEEP OUR SCHOOLS SAFE! As a community, we need to work together to keep our schools safe. If anyone - a student, parent, staff person or member of the community - sees something they perceive to be unsafe or something that does not seem right, it is critical that they take action and report the situation or incident immediately. We understand that sometimes people are reluctant to speak to the principal or school officials in fear that their identity may be shared with the person accused of the crime or bullying. We have partnered with WeTip to provide a great resource that is completely anonymous so everyone has a safe and simple way to report unsafe issues or concerns. WeTip offers anonymous crime and bullying reporting and anyone can report crime or bullying. They have live operators 24/7 who are professionally trained specialists. WeTip Hotline Number is 1-800-78-CRIME (1-800-782-7463) or, you may report online using the link below. For more information about the WeTip Program, click here.